We will also be hosting the Winter Coat Drive at this time. Please bring your gently used or new winter items to donate. Coats, shoes, boots, mitts and hats are most welcome. We will have refreshments and childcare available. On Saturday November 14th from 11 - 2 pm ( please note the change in date from the Malton Mirror article) the Malton Moms will be hosting a drop-off collecting new and gently used winter items for the Winter Coats of Peel Program. The DROP OFF Hub will be a mobile location - we are meeting at the back of the Malton Community Centre, 3540 Morningstar Drive, Malton. Please bring your items to the back parking lot, near the park. A beige Mazda MPV Minivan, License BECK 961 will be there to pick up your items. 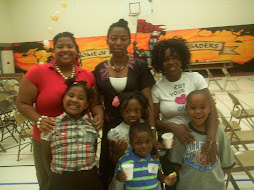 Monetary Donations to both Malton Moms and the Winter Coat Program of Peel are also most welcome. FALL FUN IN MALTON - Hello September! I know, I know, we have been pretty inactive with regards to the group for quite sometime. The reason for that is we have been crazy-busy with the juggling act that is being a modern mom. We are back on track, and wanted to update you with what's going on in Malton and what are plans are moving forward. Malton Moms will be resuming monthly meetings in October on the last Wednesday of the month - 6:30 pm in the Library. We will be meeting at the Malton Library for the time being, and are negotiating space with the Community Centre and Malton Neighbourhood Services. We are currently applying for a grant to increase our community work and programming. Camar, Crystal and Victoria are working on this, wish us well! This development could mean great things for our community. Currently, Crystal is working at the Malton Community Health Centre and their will be a number of Community Input and Engagement Events happening which you will all be invited out to. A new health centre in Malton will be up and running in about 18 months. Check out the site http://www.mymalton.ca/ - the blog will be updated with an article written by Crystal on Health & Wellness. Malton Community Centre has some really good programs including: Steve Nash Basketball, Soccer, Hip Hop and Dance. Please, if you can send your children to these programs. Financial help, if necessary, may be available. Please ask about Active Assist or click on www.mississauga.ca/portal/residents/activeassist to find out more. There are subsidies available for up to $275.00 per family members to enjoy programming for one year. It is definetely worth checking out. Please continue to email us with suggestions, questions or ideas on how we can grow, sustain improve the Malton Moms Collective.